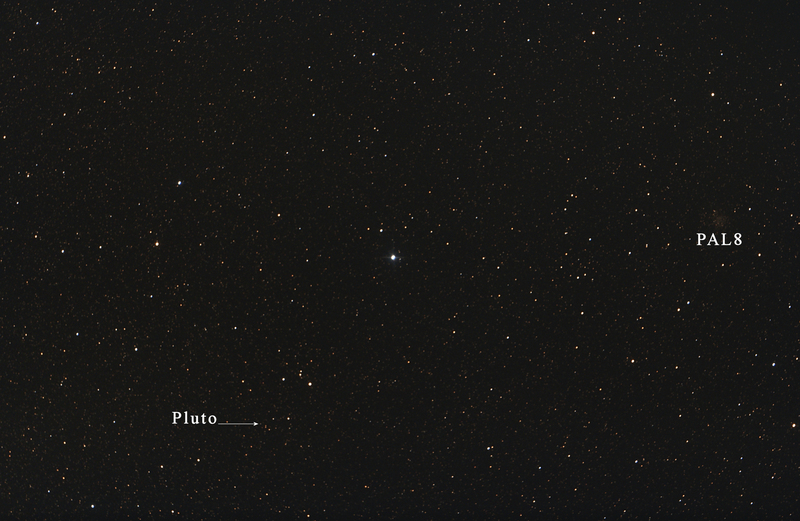 Here is an image of Pluto taken on August 15, 2013 at 11:30 PM. It's there, honest. 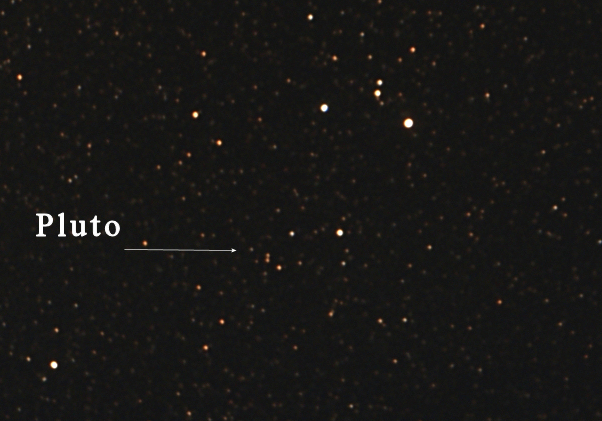 Scroll down to see a blink comparison with a SDSS image of the same area. SkyWatcher 200 mm reflector with paracorr for a total of f/5.75. Processing Calibration, stacking, DDP stretch, high pass filtering, masked star reduction and background flattening in Images Plus 5.5. Image binned to resize for web display in Images Plus. Text and arrows added in Paint Shop Pro.